It is with pleasure that I can announce Power of Prog has been recognized as one of the Top 100 Rock Music Blogs on the net. We launched Power of Prog in 2009 with one thought in mind: bring the best prog has to offer to its audience. 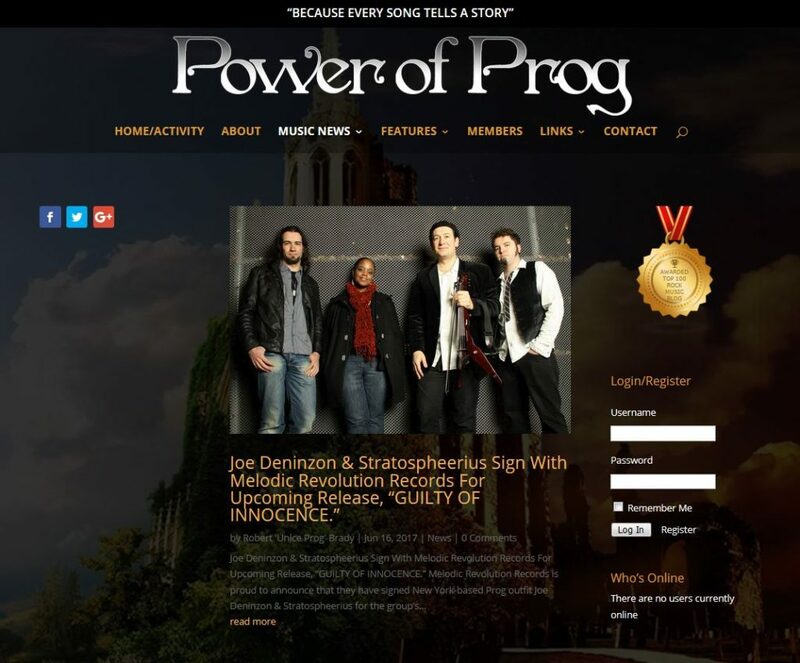 Power of Prog is not just a Music Blog site, its a social network for the prog minded. featuring Music, Events, Videos, Blogs + News and more. I would like to thank all the people that use the site and my staff that donate their time to making it a great site: Jennifer Katona, Robert Brady, Blake Carpenter, Kim Soli, David Pearson as well as extra special thanks to Ed Unitski and Olga Potekhina. Congratulations to all the of the top 100 sites.